Late Series 1, 2-Litre Petrol engines with oil filter mounted underneath the inlet manifold. Very early Series 2, 88" with 2-Litre Petrol engine. Series 2a/3, 2.6 6-Cylinder engines. 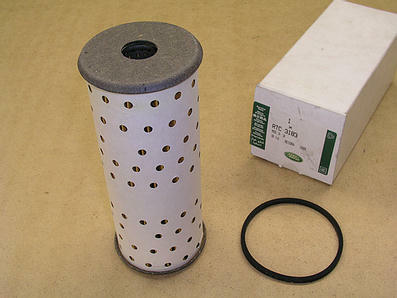 Part number supercedes 246262 and GFE111. Photograph is for reference purposese only. Current stock is mix of Coopers boxed and Genuine Land-Rover.